I like the first one but not chrono. Strangely, a couple of months back i was looking for a watch similar to the ones posted. Polished steel, plain white dial and german. Sinn 1746 classic is quite interesting but i was told that its sold out in singapore and kl. My feeling exactly, the first one in polished metal with high contrast black against white without Chrono would be perfect. Sinn 1746 is nice except for the missing second hand, for me a vital pleasing aesthetic for automatic movement watch. I didnt notice the missing seconds actually. 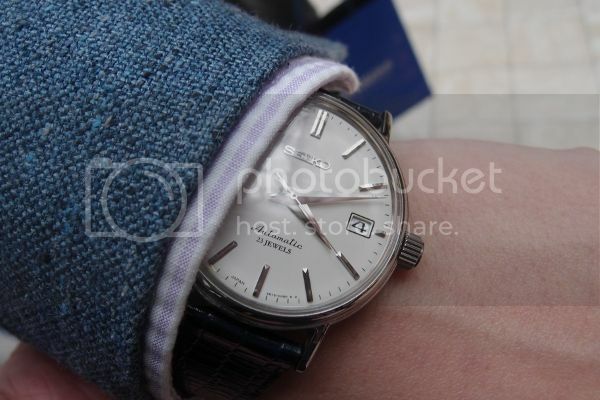 I think i wanna sell my schaumburgs and frederique constant. I don't really wear them at all. I like the second one. The latter feels more elegant. I like the clean look on it. What draws me is the leather strap which matches the texture of the watch body. Something similar to the Muhle, designed in the UK but Swiss-made. If anyone is looking for a cheap but good quality dress watch (38mm), Chris Ward is giving 30% off on a few models. I bought a ladies model for the wife before, definitely worth more than the money I paid. I was being facetious. For that price, I am very willing to reconsider. Very clean look. Any preference between brown versus black straps? If I had to choose one it would be the silver dial, brown strap automatic. Already pulled trigger on black strap automatic. I can see why visiting this forum is bad for the wallet. Let's hope the AUD keeps going, or boy, will I be in trouble. Thanks for the heads up anyway. Looking forward to new toy and will post pics later. One of my favs, definitely in the bucket list. Not that model though, i find it too cheesy when there's a product placement in movie or limited edition to the movie..
F1refighter, do you need to get the original strap? If so the most likely way is to place an order through the AD (if it is still available). The alternative is to replace it with an aftermarket strap; there are many reputable brands around that can be procured in shops or online, e.g. Hirsch, Di-Modell, Hadley Roma etc. I would get an aftermarket cordovan strap. Good point. Counterpoint - its BATMAN!! 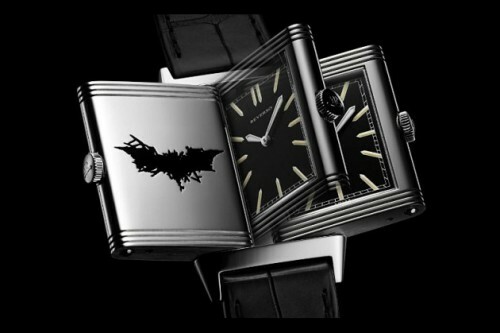 I really regret not having bought this watch. It's all Lokemui's fault, he said it's a grandfather's watch. But I saw Gerald's in the flesh today, it is magnificent. Thats a very nice watch. Very clean and classic.